ronanobrien: thanks paul. ill take that into consideration. i would prefer to use boltholes. i may need to use a slightly thicker timber to allow for the bolts, this is my concern.i think the right size would be the 19ft 6in design based on the gd27 because it seems to have a lower profile that the 4.5 meter counterpart.is this correct? i am asking about this as i dont want it to be too high for the assembly process. what would be the maximum thickness that could be used for this design? admin: Your drawings all look fine, the only one I have reservations about is the alternative fixing method, I think it may be difficult to pull the frames together with a bracket. I would go with the bolt holes in the frame. ronanobrien: just some of my design sketches. very rough but might clarify my ideas a little. 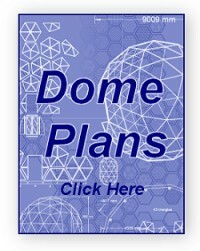 Copyright © 2005-2006 Geo-dome.co.uk All Rights Reserved.